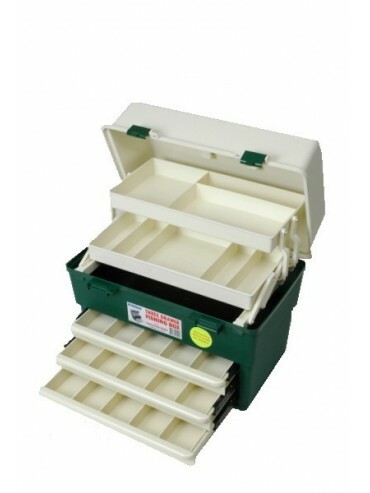 Fischer Tackle Box, Top of the range, Three Drawers with movable dividers. Plus two cantilever trays. Australian Made, No metal clips to rust. 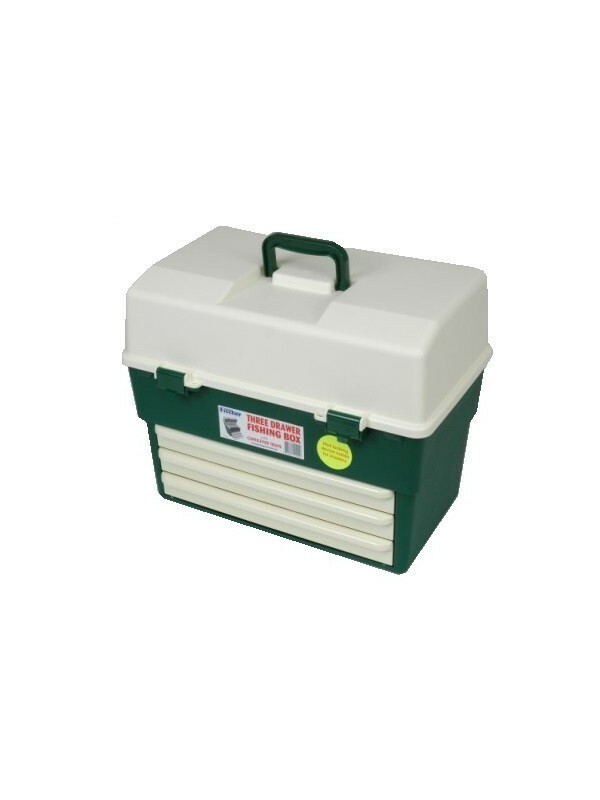 Internal Locking Device, Tackle Boxes That Last! Measurements: Width: 465mm, Depth: 305mm,Height:375mm.